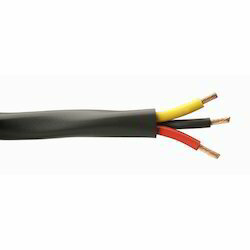 Cable designed for internal wiring in switch control, relay and instrumentation panels of power switchgear and for purposes such as stationary, static appliances, internal connectors in rectifier equipment, motor starters and controllers. We are one of the leading Suppliers of Industrial Power Cables. In addition, we provide Insulated Power Cables and High Voltage Power Cables of high efficiency. Our All cable conform to IS : 1554 (Part -1) : 1988 for working voltages up to 1100 volts. We can offer cables as per the requirements of customers of other national or international standards. Applications: Heavy Duty Power and Control Cables are used for Underground power supply by utility provider for Street Lights, Industrial Automation with mechanical strength for protection on insulated cores and other industrial applications. 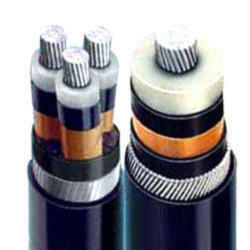 1.1 kV, 1 cores AL / CU conductor, PVC insulated, unarmoured cables as per IS 1554 Part – 1. KEI industries limited is manufacturing LT power cables with PVC or XLPE insulation of voltage grade upto 3.3 KV conforming to various Indian and International standard specifications. KEI also manufactures other types of cables as listed at the end of this catalogue.